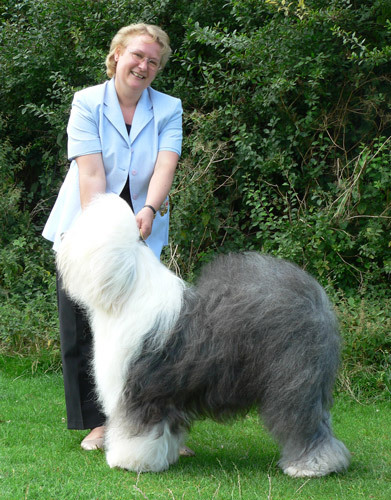 I am the owner and manager of Allstar Dog Grooming and commenced my love of the Old English Sheepdog from the moment I could talk, nagging my parents to buy me one but they never did. Quite right as they have a double coat that needs a lot of care and attention which was unlikely to be achieved appropriately from a child. 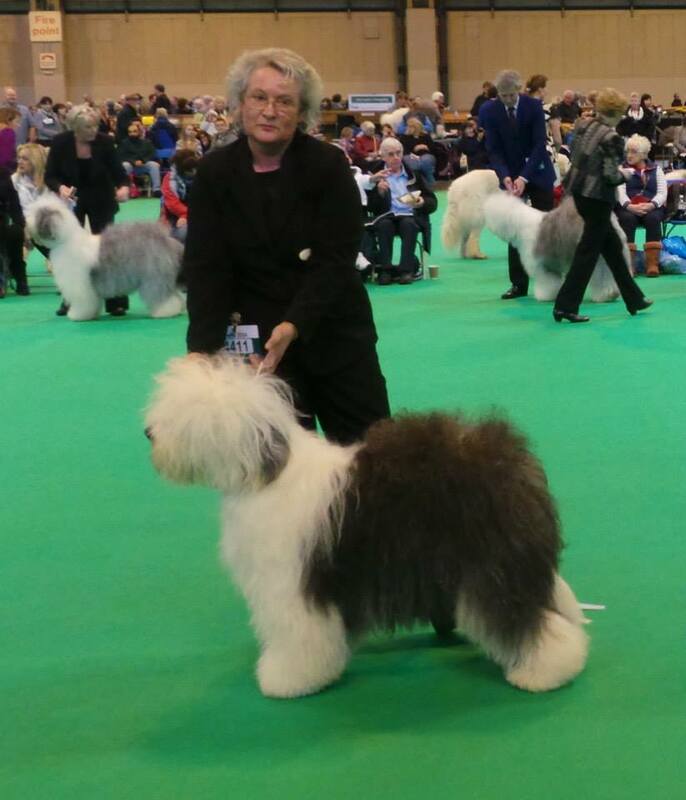 My close alliance with my vet, breeder and other top breeders as well as my attendance at All Breed Championship shows has given me an excellent understanding of the health, well being and welfare of all dogs not just my first love, the Old English Sheepdog. 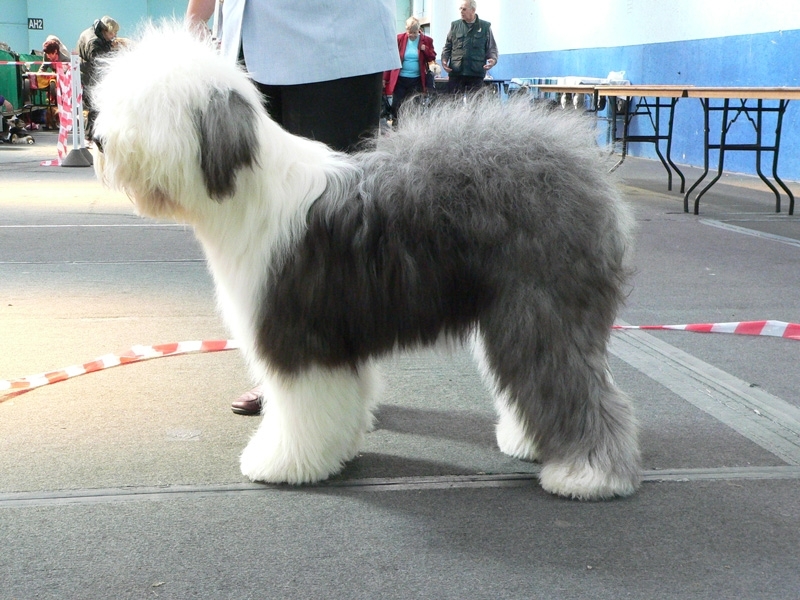 In addition, it has enabled me to learn about the grooming styles for all breeds. 1978 I met my husband Brian who had lived with dogs all his life and did in fact have 2 at the time. When his sister rescued an Old English Sheepdog Barney I was smitten once again. He had a lot of health issues due to his previous bad life and gave me an insight into dog health. 1982 Brian and I married and he promised if his work went the way he wanted and he ended up on shifts or nights he would buy me an Old English Sheepdog. We both firmly believed with our 12-13 hour days a dog was not the right way to go. 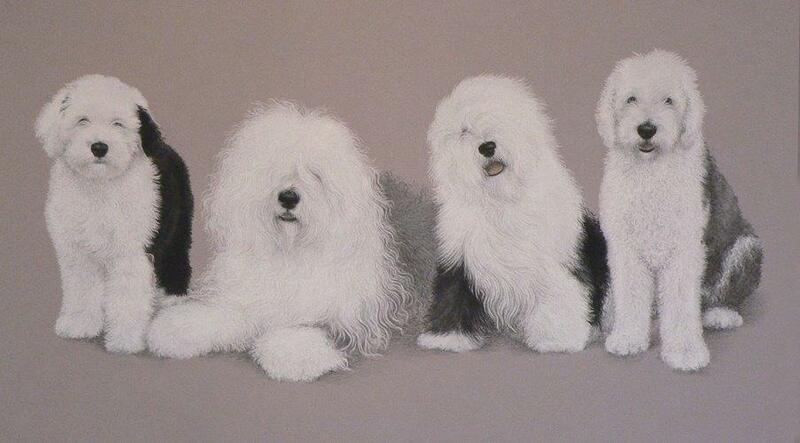 1990 our dreams came true and we became the owners of Shep, our first Old English Sheepdog. He was not very well bred (we naively purchased from the newspaper), the breeder did not give any advice on health, appropriate food, grooming or any of the very important things a new dog owner needed to know. Needless to say, from a very young age he was on medication. Due to the money, time, care and a very good vet he had a lovely life. His loss made me realise I wanted to learn as much as possible about dogs, their appropriate care and their well being. Our 2nd OES Bluey was purchased on the advice of our vet (who became a very good friend through her showing and breeding of Bernese Mountain Dogs). His breeder and her very close friend got me into showing and grooming. Sadly we lost Bluey in 2013 but still have Star, Annie and Sonny which continue to keep my passion for showing and grooming alive and has been the foundation for my business.